Video is more popular than ever these days as devices and networks have reached a point where streaming is more of a widespread activity. As such, you may be working on a presentation that would be vastly improved with the addition of a video. 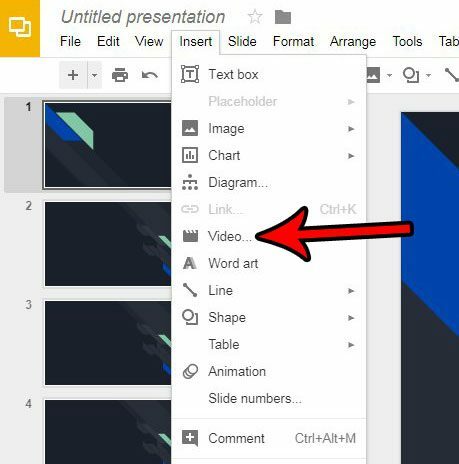 Fortunately you can easily add videos from YouTube into one of the slides in your Google Slides presentation. 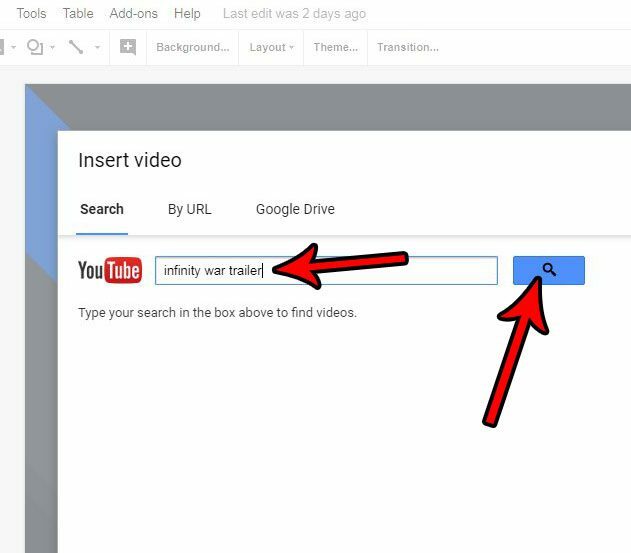 Simply search for the video in the Slides YouTube interface and the video will be added to the desired slide. 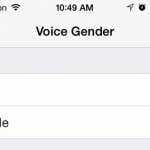 You are then able to move and resize that video as needed. The steps in this article were performed in Google Chrome, but will also work in other desktop and laptop Web browsers like Edge, Internet Explorer, or Firefox. Note that you will be able to search for the video on YouTube during this process, so you won’t need to already have it to begin. 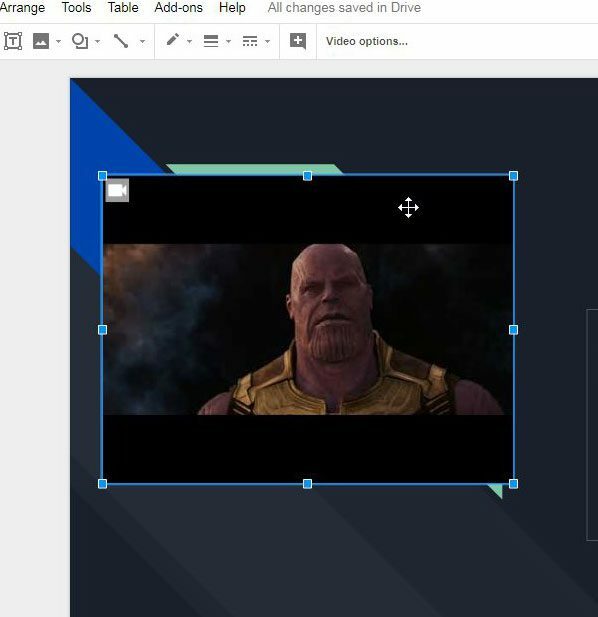 Step 1: Open your Google Drive at https://drive.google.com/drive/my-drive and open the presentation into which you want to add a YouTube video. Step 3: Select the Video option. Step 4: Type the search term for the video into the field at the top of the window, then click the Search button. 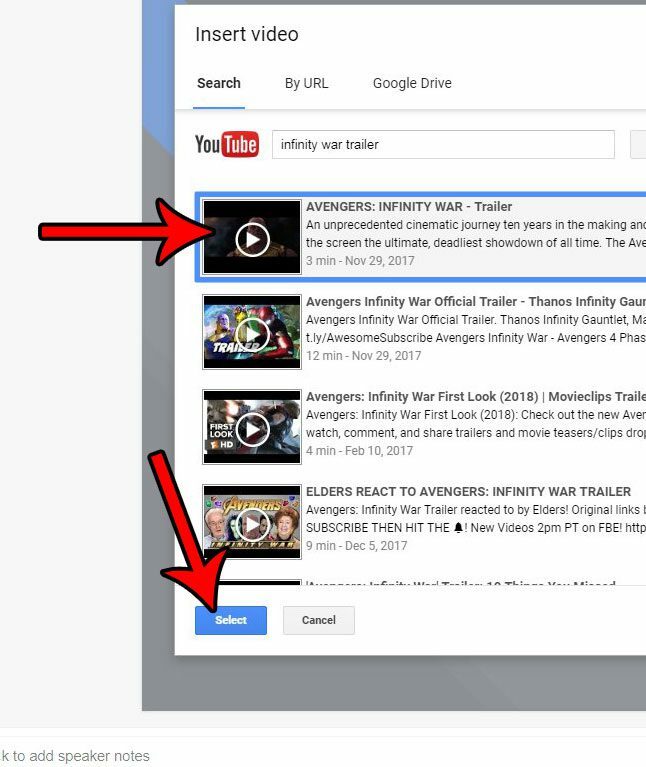 Step 5: Choose the video from the list of search results, then click the Select button. Step 6: Click on the video and drag it to the desired position on the slide. You can also resize it by clicking one of the handles on the outside of the video. 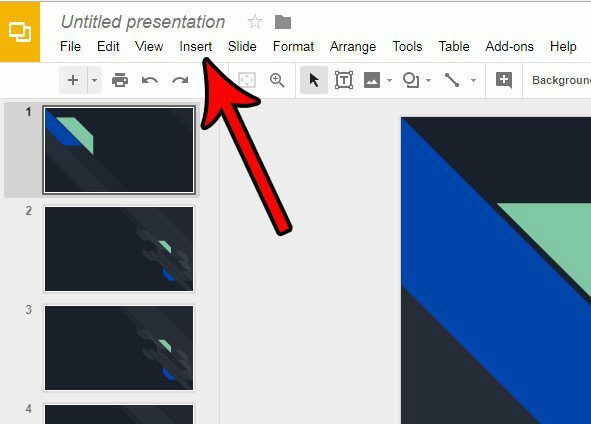 Do you need to share your Slides presentation with someone, but they want the file to be in the Powerpoint format? Learn how to convert to Powerpoint in Slides without having to rely on any third-party software.